padre pio | Tell Me… Am I From This World? Padre Pio was born in the small village of Pietrelcina in southern Italy, and joined the Capuchin friars at the age of 16. He became a priest seven years later, and spent fifty years at the monastery of San Giovanni Rotondo, where he was very much sought after as a spiritual advisor, confessor, and intercessor. Many miracles were popularly ascribed to him during his lifetime. 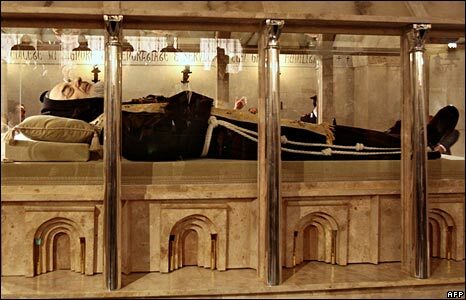 He died a few days after the fiftieth anniversary of his receiving the stigmata, and over 100,000 people attended his funeral. (His name is written as Adamnan or Adomnan and anglicised as Eunan). He was educated by the Columban monks of his native place, subsequently becoming a novice at Iona in 650. In 679 he succeeded to the abbacy of Iona, which position he held up to his death. He was also president-general of all the Columban houses in Ireland. During his rule he paid three lengthy visits to Ireland, one of which is memorable for his success in introducing the Roman dating and celebration of Easter. On his third visit (697) he assisted at the Synod of Tara, when the Cain Adamnain, or Canon of Adamnan (the “Law of Innocents”) was adopted, which freed women and children from the evils inseparable from war, forbidding them to be killed or made captive in times of strife. He is famous for his Life of St. Columba, written some time after 688, which has been praised as the best and most complete biography written in Europe for many centuries.